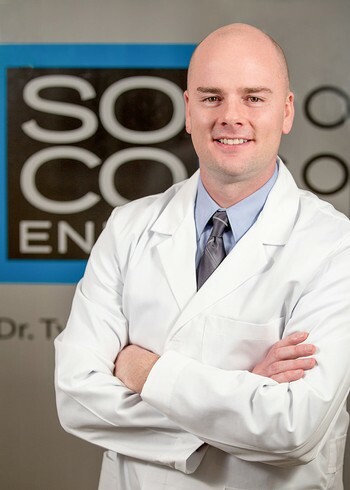 SoCo Endo provides specialized endodontic (root canal) diagnostics and treatment procedures. It is a premier, state of the art endodontic facility located in Colorado Springs. Our office provides world class, cutting edge endodontics enhanced with advanced technology, and compassionate customer service second to none. We do this by serving as an extension or adjunct to our referring dental offices and providing personalized care and service. Our office includes advanced surgical operating microscope (SOM) technology that is utilized 100% of the time for every diagnosis and treatment procedure. We also offer CBCT 3D volumetric imaging services designed and calibrated specifically for endodontics which allows us to visualize the unique anatomy of each of your teeth, the surrounding bony structures and surrounding anatomical structures. This is extremely valuable in obtaining an accurate diagnosis and equally important in providing a "road map" during treatment to guide a conservative treatment approach. Online services allow for collaborative online access to patient records between all health care professionals involved in our patient's care. Our mission is to be available, convenient, and compassionate to our patients all while providing meticulous uncompromising quality-centered endodontics. Please call us with any questions. We'd be happy to expertly service your endodontic needs. Over the years endodontics has adopted the surgical operating microscope that is used in other healthcare disciplines like ophthalmology. This piece of technology is extremely valuable in allowing the endodontist to visualize the intricate and minute details of the canal anatomy inside the tooth. The microscope provides three major advantages that allow for elevated quality of care: 1. Increased magnification allows the practitioner to see the small orifices that lead to canals, the small changes in color and translucency of the dentin that serve as a road map for the canal anatomy and other details like hairline cracks and their depth of propagation. 2. 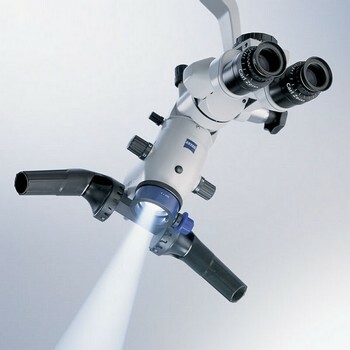 The microscope bathes the operating field in bright white parallax free coaxial light. This is probably more important than the magnification itself. This allows the endodontist to see deep into light devouring conservative access preparations and delicate canal spaces. 3. The microscope allows the endodontist and his assistant to provide treatment in an ergonomical and comfortable manner. Therefore your endodontist doesn't have to hunch, strain his neck or contort into abnormal positions and this allows for procedural efficiencies that not only cut down on the amount of time that your treatment may require, but because your endodontist is comfortable the quality of care that you receive is obviously enhanced. At SoCo Endo we are microscope trained professionals and all of our treatment and diagnostics are provided to you religiously through the surgical operating microscope. Doctor and assistant work concertedly through the microscope as a technologically armed team. CBCT 3D imaging has technologically advanced x-ray imaging in a manner that has rocketed diagnostic accuracy and conservative treatment. It serves as a tremendous aid in diagnosing diseases of the pulp and the tissues surrounding the roots of your teeth that can't be seen with traditional 2D x-rays. It is not only a diagnostic aid, but also serves as a treatment tool worth it's weight in gold giving Dr. Boss a map/GPS of your tooth before he even touches it. Any outdoorsman knows the value of a good map and compass when venturing into the wilderness. In more recent years GPS mapping has proven to be technologically as big a breakthrough as the compass was centuries ago. 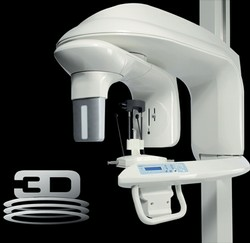 CBCT 3D imaging is to x-rays what GPS is to maps and compasses. Rest assured that having a 3D map of your tooth will allow Dr. Boss to expertly perform your root canal treatment while eliminating many uncertainties, making your experience more comfortable, shorter and more successful.